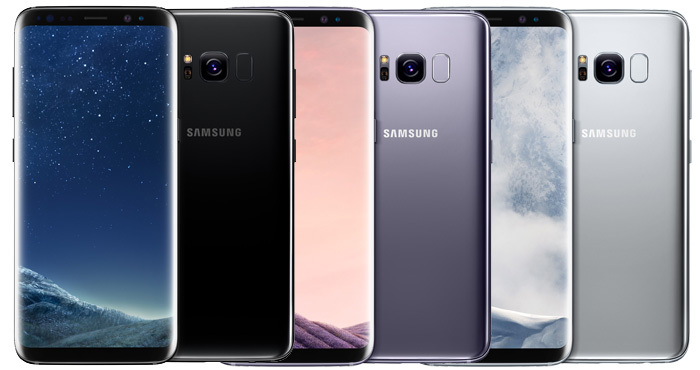 Following the Samsung Galaxy Note 7 battery fiasco last fall, Samsung needs to win back consumer confidence in its smartphones with its new flagship phones, the Galaxy S8 and S8+. A market leader in Android devices for years, Samsung has seen increasingly stiff competition in devices from LG, HTC and Motorola and even from new entrants into the U.S. market like Huawei. So do the Galaxy S8 and S8+ have what it takes to remind everyone why they are the market leader? From the hands-on time I had with the S8 and S8+, I think they have a good shot. Here's why. The 5.8-inch Galaxy S8 and 6.2-inch Galaxy S8+ are visually stunning, a first step in winning many people over. The displays take up 83 percent of the front of the devices, which make them look like they're all screen. Even the home button, a standard on Galaxy phones, has disappeared. The home button is now part of the display. It's a virtual button that provides tactile feedback when you touch it, like a regular button. That means the device's display must always be on, something that's possible with AMOLED displays. AMOLED displays are emissive instead of backlit, so there's no battery-draining backlight. Only the active pixels are "on." The Quad HD+ displays on both devices have 290 x 1440 pixels, resulting in 570 ppi for the 5.8-inch S8 and 529 ppi for the 6.2-inch S8+. With an 18.5:9 aspect ratio, they're similar to the tall and narrow LG G6. As a result, even in my fairly small hands, I can easily use both phones with one hand. The HDR displays support HDR 10 content and will be Mobile HDR Premium-certified, according to Samsung. The S8 measures 148.9 x 68.1 x 8 mm, while the S8+ measures 159.5 x 73.4 x 8.1. That makes the S8 about the same width and thickness as the Galaxy S7 but slightly taller, with a display that takes up 83 percent of the front instead of the S7's approximately 72 percent. These phones are sleek. A volume rocker and a button dedicated to a voice-based assistant are on the left of the device, and the power button is on the right. There's also a fingerprint reader on the back and a slot that holds both the SIM and a microSD card. Both phones are water-resistant with an IP68 rating, meaning they can easily withstand a dunk in the sink and be washed off it they get dirty. The phones will come in black, gray and silver for the U.S. market. Other markets will get blue and gold. Samsung is carrying over the S7's highly acclaimed rear dual-pixel 12MP camera with optical image stabilization for the camera on the back of the S8 and S8+. It still doesn't have a dual lens for a true optical zoom, like the LG G6 or iPhone 7 Plus, but it's still considered to be a top camera. What's new is the front camera, which has been upgraded from a 5MP camera to a 8MP camera with face recognition auto-focus. The camera also gets a feature called Bixby Vision. Take a picture, and Bixby Vision can recognize books or wine bottles, translate text via Google Translate, and more. Like the Galaxy S7, the S8 and S8+ will use fingerprint scanning and iris recognition for security. Samsung has added facial recognition for unlocking your device. The security for facial scanning isn't considered robust enough for purchases with Samsung Pay and other high-security applications — you'll need iris recognition or fingerprint scanning for that — but it could easily replace your passcode. Samsung has worked hard to revamp the safety measures for the batteries in their phones. An eight-point battery checklist covers three main areas. Each phone now has a battery that specifically designed for it. The batteries are subjected to more rigorous, accelerated testing to mimic long-term hard use. And Samsung has designed more space and structural protection around the battery. The batteries themselves are a 3000mAh battery (Galaxy S8) or a 3500mAh (Galaxy S8+). Both support quick charging, which provides a half charge in half an hour. Both devices support wireless quick charging. Both phones use Qualcomm 835 Snapdragon processors (in the U.S.) and come with 4GB RAM and 64GB of storage. They'll be loaded with Android 7.0 Nougat. The Samsung Galaxy S8 and S8+ will be compatible with Samsung DeX, a docking station that enables you to hook up a monitor and keyboard to turn your phone into a computer. When your phone is docked and hooked up to a monitor, it will run the tablet version of your apps automatically scaled to your monitor size. (Most Android Nougat apps like Microsoft Office and Adobe Lightroom have this available.) If you need to update PowerPoint or other documents on the go, this can be an viable alternative to using a laptop. Since this kind of work is taxing on your phone, there's a fan built into the dock to help dissipate heat. The dock charges your phone as you work. DeX pricing and availability have not yet been announced. 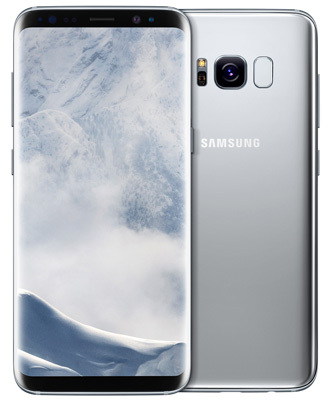 The Samsung Galaxy S8 and S8+ will be available for preorder starting March 30, 2017, and the phones will be available starting April 21, 2017. Preorder customers will receive a free Gear VR, a Gear VR Controller and game pack, and a pair of AKG earbuds in the box ($99 value). On AT&T, the Galaxy S8 will cost $750 and the S8+ will cost $850. On AT&T Next, you'll be able to lease the Galaxy S8 for $25 per month for 30 months or the S8+ for $28.34 per month for 30 months with an eligible contract. On Sprint, you'll be able the lease the Galaxy S8 for $31.25 per month for 18 months or lease GS8+ for $35.42 per month for 18 months with an eligible contract.